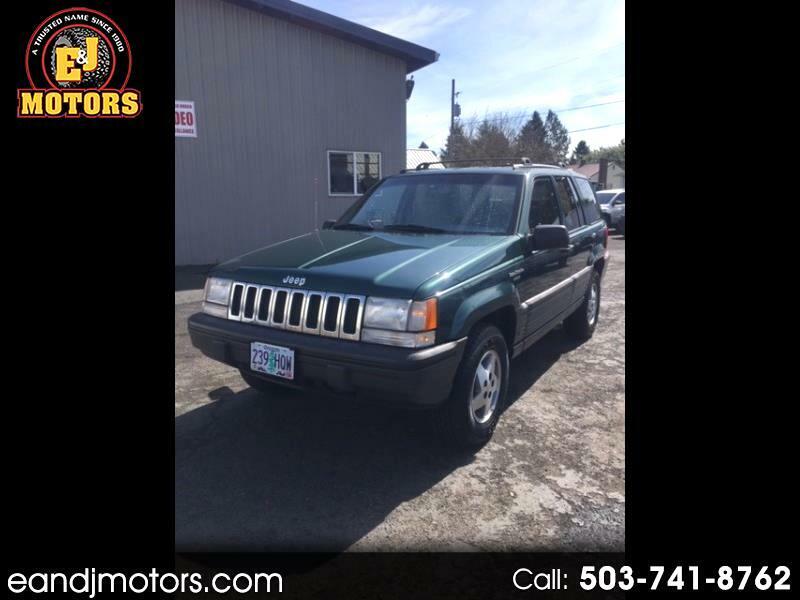 You do not want to miss out on our 1993 JEEP GRAND CHEROKEE 4.0 IN-LINE 6 cylinder. Once you drive it...You'll Buy It...Period...It's that nice! You owe it to yourself to come check it out. The body is straight and the paint looks stunning. The fully loaded leather interior looks like it has never been sat in.. It's pretty obvious this JEEP has been babied its whole life. Especially when you drive it and what a blast to drive. You are going to be amazed at how roomy and comfortable it is. Whether cruising the boulevard,? or making a Costco Run,? you'll be grinning from ear to ear whenever you're behind the wheel. ..TEXT / CALL 503.741.8762 NOW!E and J Motors is proud to be one of the oldest independent family owned dealerships in the NW. We have been actively supporting our community since 1980! Our success has been built on our reputation. All of our vehicles go through a full mechanical inspection and we offer a warranty/service contract on most of our vehicles. We are proud to be a CARFAX Advantage Dealer. We are happy to make a fair and modest deal to earn your business! Our goal is to provide our clients a great value on their perfect vehicle with 5 star service. We wont sell a car that we would not want our friends and family to drive. Give us the opportunity to earn your business. You wont be disappointed.FINANCING for ALL types of credit! As a CUDL (Credit Union Direct Lender) Dealer we offer rates as low as 3.99% APR OAC. Also,? we have aggressive first time buyers programs. IF YOU HAVE BEEN TURNED DOWN AT OTHER DEALERS YOU OWE IT TO YOURSELF TO COME SEE US. With our long standing relationship with lenders we are able to get financing that is impossible for most dealers.We Buy Cars,? Trucks,? and SUVs. Check out our Awesome Reviews! TEXT / CALL 503.741.8762 If you looking for an Lexus RX350. RX400H,? Toyota RAV4,? or Honda CR-V then you've come to the right place. Message: Thought you might be interested in this 1993 Jeep Grand Cherokee.